From age 1 to age 7, my family lived in Moorhead, Minnesota. It was a twin city to Fargo, North Dakota… separated by the Red River, which was also the state line. At the time, Fargo was bigger and had some amenities that Moorhead did not. So, it was not uncommon for us to go there to shop or eat. One particular day stands out in my memory. It was the day Mom and Dad took me with them to Fargo to run some errands. While we were out, they decided we would eat at their favorite Chinese restaurant there in Fargo… Phil Wong’s. What no one eating in that fine establishment- especially my parents- counted on when they sat down to enjoy their lunch was the level of entertainment they would receive from our table that day. Our food was served, and Mom and Dad became engrossed in some kind of conversation which apparently bored my creative-child mind. To hear Mom and Dad tell this part of the story is better, but I will do my best. As they talked, they began to hear murmurs and giggles coming from tables around us. At first they dismissed it, but it began to build. Then they began to see people pointing at something… wait, they were pointing at our table. “But why,” thought Mom and Dad… till they realized that everyone was pointing behind them toward where I was seated. By the time they turned around to see what all the hub-bub was about, I had my entire grilled cheese sandwich suspended in mid-air between my plate and my mouth. I had one chopstick in each of my small fists stabbed into the middle of the grilled cheese. It was beginning to tilt in such a way that it was twisting the chopsticks away from their balanced position. And that is what had all the onlookers so intrigued. Had Vegas known about this attempt, I’m pretty odds would have been announced and bets would have been placed. Mom and Dad were horrified at the hilarious and harrowing effort. (This was up there with the flying Wallendas, people.) They wanted to tell me to stop, but it was too close… and I had to give the people what they wanted. So, while it wasn’t pretty, I finally got a bite. People chuckled and cheered, and a showman was born. And then I was very clearly instructed that this was not proper etiquette for future reference. Let’s face it… no one expected to see a kid try to eat a grilled cheese with chopsticks that day because that just isn’t what you do. Sadly, we let that type of mentality dictate far too much of our lives. God doesn’t always do things the way people expect. He looks at our lives from a different perspective. Look at Scripture. God did some of the most creative, outlandish things people have ever seen. His Word says His ways aren’t like our ways, and our thoughts aren’t like His thoughts. His Word also says He is doing something new. New means you and I haven’t seen it before, or at least not like what He’s talking about. When was the last time you invited God to do something new in your life? Who knows what amazing and creative ideas He has cooked up to bless you?! 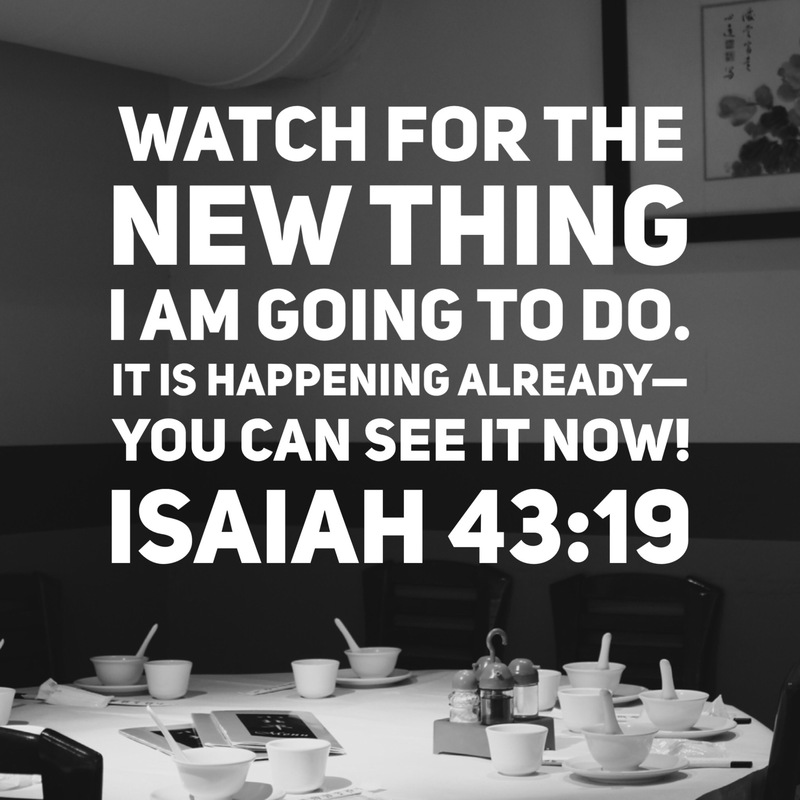 Let’s not be content with a life of eating grilled cheese sandwiches with our hands, people… Grab those proverbial chopsticks and let God do something new in you… for you… through you! Who knows… you might just enjoy it and bring joy to a lot of folks around you. So glad to hear it! This makes my day. Believing God has something spectacular in store for you!!! Luv ya bunches!